8. The Gospel is about God giving life to the spiritually dead and the Satanically blinded. The people to whom we present the gospel are not just uninformed, or weak, or sick, they are dead. And the god of this age has blinded the minds of unbelievers. This is more than a little obstacle. That is to say, we must never rely on our cleverness, our apologetic sophistication, our smooth presentation or any particular “this is the only way to evangelise” kind of presentation. Let’s benefit from all that is available apologetically, and let’s do the best we can, but let’s do that completely in dependence on, and in prayer to, the God who brings people from death to life. 9. The Gospel is about both personal and communal realities. Many of the contemporary critiques of ecclesiastical blind spots tend to push us toward a less individualistic and more corporate view of salvation. This is a vital need in an overly individualistic worldview. However, don’t lose one at the expense of the other. We are saved into dynamic relationship with the Trinity and the body of Christ . . . but we are brought into this reality individually. 10. The Gospel is about both present and future concerns. Again, many contemporary critiques of traditional evangelical Christianity focus their attacks on the traditional emphasis on the future and eternity. It is true that the Bible also speaks much about the present transformation brought about by the gospel, and about the present experience of eternal life, but the key term here is “also!” The Bible does say a lot about the future and eternity too. Both and. End of. Well, probably not end of, since there are other things to add. Any thoughts? Any recommended resources for balancing the concerns of #9 and #10? Sorry Dave, I don’t have any immediate suggestions. Obviously the Bible is the best antidote (I know that seems facetious, but many are very vulnerable to wrong emphases because they aren’t super familiar with the real thing). I’d love to hear from anyone with any suggestions of books/resources that address the issues of #9&10. If I had to add any further suggestions, there are two issues that present themselves, which I have garnered from studying the apostolic gospel-preaching in Acts. I have no idea how to formulate these to make them fit your posts, though. First, the apostles’ preaching contains a feature that I think we have overlooked, generally, and we thus find a bit surprising. 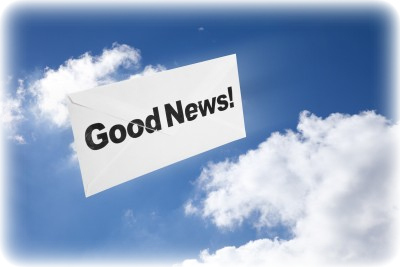 That is, their gospel presentations tended to include as “good news” the fact that God’s Word has been proven true; the promises and prophecies have come to pass, etc. You don’t tend to hear any note of this kind in a typical gospel message, although it may be (and probably is) assumed or implied. Second, we tend to focus on gospel-as-invitation. But the apostles often preached more like gospel-as-command, or gospel-as-urgent-warning. The unbelieving culture likes invitations. They’re kinda flattering, after all, as it’s nice to be included. It doesn’t seem to like commands and warnings quite so much. Maybe this is more an issue of “tone” than substance. Accept Christ’s generous offer and all will be well, is roundly prefered over “turn or burn.” But how did Christ’s first ambassador’s preach? Thanks Gordan. Good thoughts. I wonder if the fact that we are preaching to a predominantly non-Jewish listenership is part of the issue with both things you mention. Certainly the second issue you raise is worth pondering – how many gospel presentations don’t address the self-concerned nature of sin and pander to it by offering a better future for the self-lover? I touched on this earlier in the series of posts. Thanks again for your thoughtful comment.